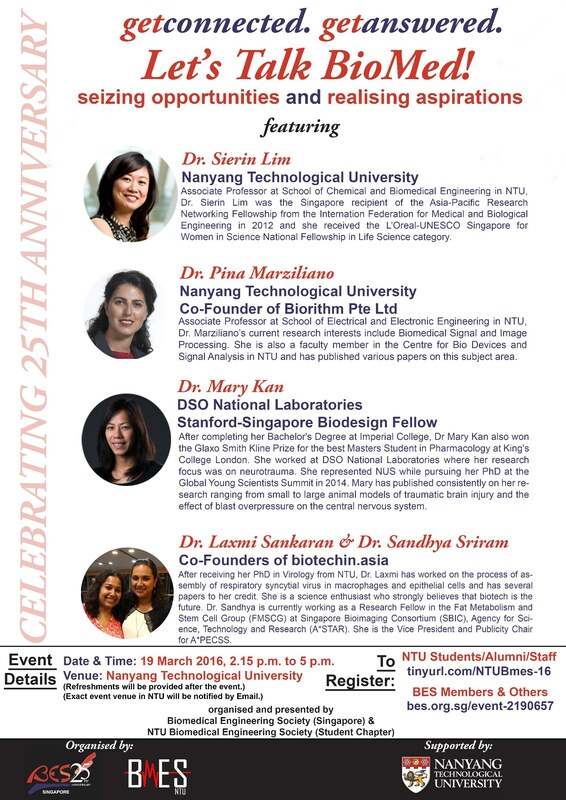 Biomedical Engineering Society (Singapore) and NTU Biomedical Engineering Society present "Let's Talk BioMed". The session will see 5 guests sharing their perspectives of current and future Healthcare Management and Biomedical Engineering and research, and its landscape in Singapore and beyond, and possibly also on the opportunities available for the students and young graduates. The event aims to give a complete picture of BME industry and research to students. ​Dr Sierin Lim, NTU. Carpe Diem – The evolution of BioMedical landscape and the research opportunities, and why BioMed is a unique discipline that is ought to be seized. Dr Pina Marziliano, NTU.Here, There and Everywhere – Versatility of Biomedical Engineering applications in engaging students and research from other Engineering disciplines. Dr Mary Kan, DSO National Laboratories & Stanford-Singapore Biodesign Fellow. Dribbling with the right Stroke – Brief introduction on the biodesign process and the state of healthcare moving towards the concept of “Self-Directed Patient Care”, with emphasis on what is still inadequate in the field of neuroscience and how BioMedical Engineering could be the right mode to bridge this inadequacy. Dr Laxmi Sankaran and Dr. Sandhya Sriram, Co-founders of biotechin.asia. Aspire to Inspire – Importance of being updated on the new innovations and discoveries. Potential challenges, benefits and risks in setting-up and managing a start-up. 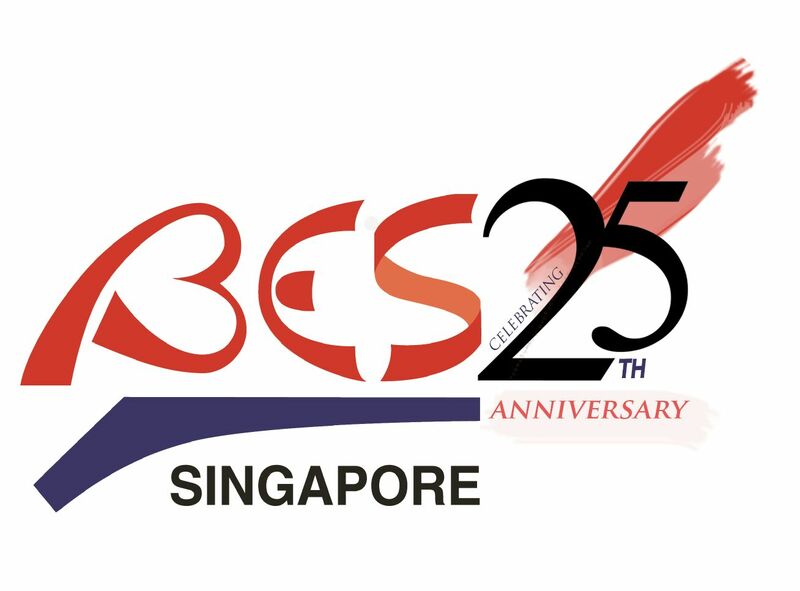 Registration is free for all BES Members and NTU Students/Alumni. Special Instructions to NTU Students/Alumni - Please register at this link.